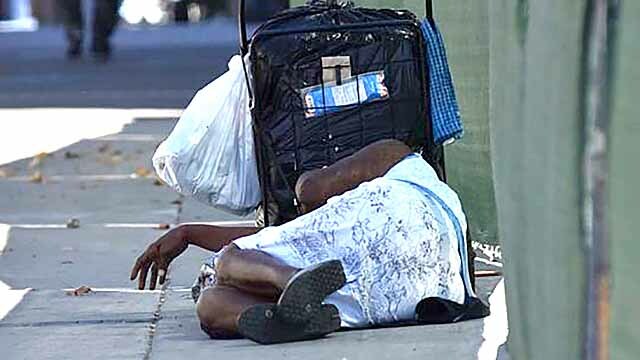 The San Diego City Council’s Rules Committee on Wednesday advanced two proposals for the Nov. 6 ballot intended to alleviate the city’s homelessness crisis. Because it targets a specific purpose, the proposal requires two-thirds supermajority council support to make the November ballot, where it will also would need two-thirds voter support for passage. City Councilman Chris Ward said the city should be open to exploring any means necessary for fixing the region’s lack of affordable housing. The committee also advanced a proposal from Councilman David Alvarez to increase the city’s hotel tax by one cent in order to fund homelessness services. He drew a link between the city’s tourism industry and the necessity to provide services for its homeless residents. “To me there’s a very clear nexus between promoting San Diego as a destination and making sure we have programs in place to ensure we don’t have outbreaks, such as hepatitis A, or other dangerous pathogens,” Alvarez said. As a general tax increase, the proposal would only need majority voter approval. A companion item on the ballot would ask voters whether the city should use the revenue to address homelessness.